Read below for the description of the project from the Puerto Rican Science, technology, and Research Trust. The KOHLER ClarityTM, both FEMA and WHO approved, is a ceramic water filtration system that filters 40 liters per day and is useful in achieving a greater than 99% reduction of bacteria and protozoa. Specifically, it is effective in removing, to an acceptable level, the bacteria, and protozoa of most significant concern in Puerto Rican post-Hurricane Maria, like leptospirosis, E. coli, cholera, cryptosporidium, and giardia among others. After Hurricane Maria passed through Puerto Rico, this project was born. Since October of 2017, the team has delivered over 30,000 KOHLER Clarity water filters to families in the central mountains of Puerto Rico. Approximately 80,000 Puerto Ricans in more than 15 municipalities have access to potable water. PAL will be distributing 30,000 additional filter units. 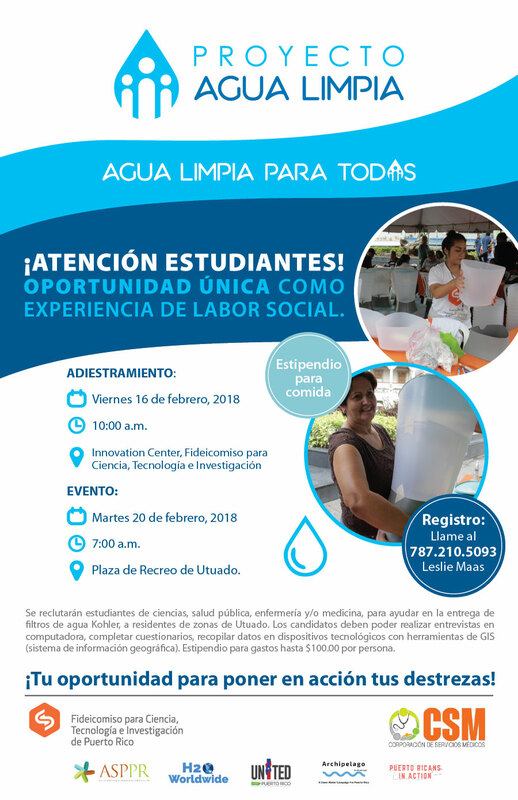 Together with the support of our partners, we will target the communities that do not have access to government service water (Non-PRASA and Non-Regulated) in the municipalities of Adjuntas, Arecibo, Corozal, Jayuya, Lares, Naranjito, Peñuelas, Utuado, and Yabucoa. The Clean Water Project, Proyecto Agua Limpia, was created by The Puerto Rico Science, Technology and Research Trust through its Brain Trust for Tropical Disease Research Prevention program and in collaboration with the Puerto Rico Primary Care Association Network, Corporación de Servicios Medicos CSM IPA-19, H20 Worldwide, KOHLER, Puerto Ricans In Action and Unidos por Puerto Rico. Through the use of a public health approach, our team is looking at how water is being delivered to homes after Hurricane María and the health issues related to water contamination. Using GIS technology, our team can show where water filters are being used. 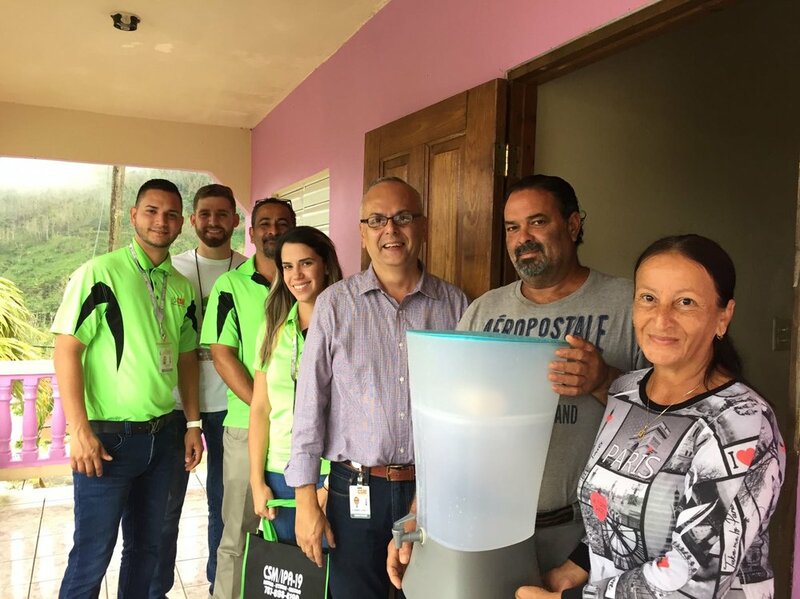 Since October of 2017 over 5,600 KOHLER Clarity water filters have been delivered to bring potable water to approximately 33,600 Puerto Rican Citizens in more than 15 municipalities. Of individuals interviewed, 822 report gastrointestinal diseases, 520 report skin conditions, 92 report need to care for open wounds and 251 report symptoms of fever since Hurricane Maria. Green dots represent communities that do not receive water from the government utility (Non-PRASA). Red dots on the map represent EPA Superfund Sites. Click on the green dots for more information. PAL has begun to conduct systematic field testing of water quality and training communities to monitor their drinking water quality.